First Listen: Mount Eerie, 'Sauna' An arresting, frozen-moment splay of images and emotions, Phil Elverum's latest album as Mount Eerie feels less like a meditation and more like a slow-motion mauling. 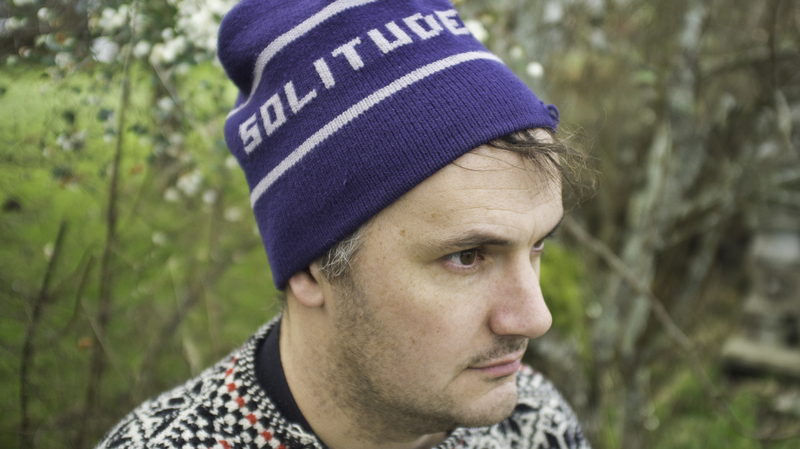 Mount Eerie's new album, Sauna, comes out Feb. 3. Phil Elverum can be forgiven for taking three years to release Sauna, his latest full-length album under the name Mount Eerie. After all, he did unleash two albums in 2012, the complementary and equally moving Clear Moon and Ocean Roar. With Sauna, he's stepped back, taken a deep breath, and held it. And held it some more. The result is an arresting, frozen-moment splay of images and emotions that feels less like a meditation and more like a slow-motion mauling. "Boat" imagines a black-metal take on Isn't Anything-era My Bloody Valentine, all bleary smears of distortion and frantic bouts with drowsiness; "Youth" is more ethereal, even as it continually erupts in spasms of grinding noise. Eleverum's melodies are syrupy and singsong, but his droning loops of guitar and oscillating keys are as massive as a gas giant wobbling on its axis. Sauna's title track clocks in at 10 minutes; it opens with a sharp intake of breath that hints at whispery intimacy, but it takes on harrowing overtones as the music spirals upward and Elverum sings, "I don't think the world still exists / Only this room in the snow." The Pacific Northwest songwriter once spent time in a remote cabin in Norway, and he seems to still draw from that deep well of sensation — or lack thereof. "Books" and "This" both mention the North Sea by name, not that they have to. That lonely chill is evoked in minimalist, pizzicato goosebumps and fluttering, harmony-laced doom-pop. Elverum strikes up occasional conversations, Greek-chorus-style, with his cooing female backup singers, similar to David Longstreth's lush vocal arrangements in Dirty Projectors. Rather than mitigating his isolation, it echoes it. That approach also gives him a chance to let someone else carry the melodic load; in the brief yet unsettling "Turmoil," he switches to a half-sung, half-spoken approach not far from Brian McMahan of Slint or Bill Callahan of Smog. Elverum plugs into that current of deadpan observation while keeping his eyes fixed on something more cosmic. His sentiments are so mundane, they become magical: "So I make coffee while looking out the window / And notice that I can't remember when or if I woke up," he intones, elevating his emotional reality to an almost psychedelic plateau. Sauna feels like a holding pattern, but in the best possible way: When he gently sings, "More emptiness again / And more, and more" in the throbbing, beautiful "Emptiness," the washes of black space around him don't seem to phase him. Instead, they coldly comfort.